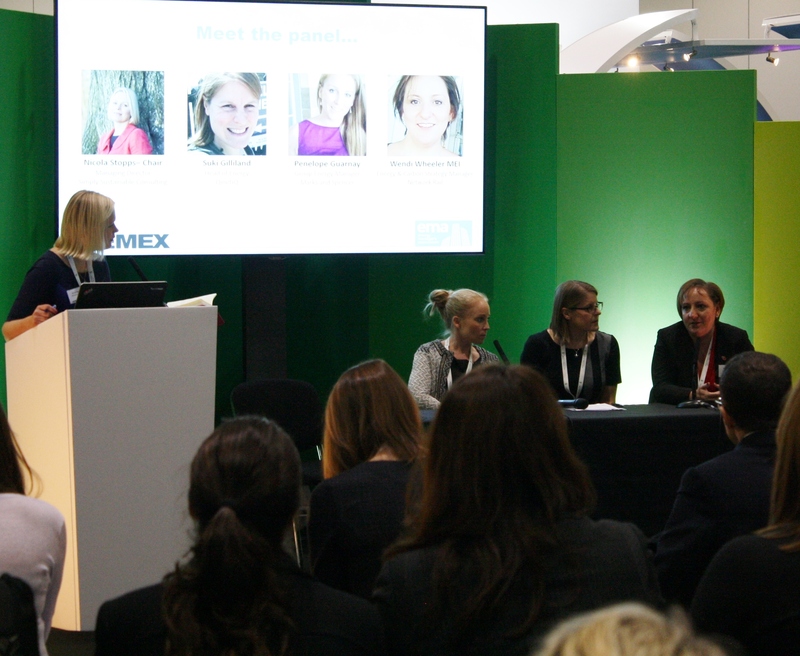 The Energy Managers Association (EMA) launched Empowering Women in Energy Management and Environment group in 2016. The Group provides an informal network for women in the energy management, facilities management, sustainability and environmental industries that can assist in supporting career development for professional women, mentor aspiring women to pursue energy management education and careers in the energy management and associated fields. The Group has been created to support the EMA membership and is headed by the EMA Board of Directors, existing energy management professionals. However, the participation in this group is not limited to the EMA membership only and all professionals in the energy management and associated sectors are welcome to sign up to the Group’s mailing list to receive updates and invitations to the meetings. Our meetings’ format typically consists of panel discussions with prominent industry professionals, and opportunities to network with your peers, make new contacts, and strengthen existing relationships. The Group’s ultimate aim is to encourage and enable more women to enter the world of Energy Management and other environmental roles by increasing the level of awareness and understanding of this very rewarding career amongst those facing future career choices, and indeed exploring the current barriers to this route for women. Being an energy manager may not seem like the most obvious career for many women. Often described as a highly technical and men overpopulated sector, energy management has been lacking the role models that young or career changing women could learn from and identify with. The Group’s launch was acknowledged by Lord Bourne, former Parliamentary Under Secretary of State, Department of Energy and Climate Change who stated: “Speaking as someone who is particularly keen to see greater gender diversity at all levels in the workforce – and who has attended far too many senior meetings at which women were noticeably under-represented – initiatives such as this are very good news indeed”. If you are interested in the Empowering Women in Energy Management and Environment Group, you may be interested in the "Jack (or Jackie) of all trades" article. It’s not like public service, medicine, or the forces. When children are little, they decide they want to be a fireman, a doctor, a soldier. As they grow up, their aspirations might change as they mature into young adults – perhaps they will want to study to become a lawyer, a vet, or an architect. There are so many different choices and career aspirations – far too many to list. Wendi Wheeler, Energy and Carbon Strategy Manager at Network Rail , Jack (or Jackie) of all trades. To get involved with the Group and keep up-to-date with its future activities, please register your interest with the EMA by emailing jana.skodlova@theema.org.uk.